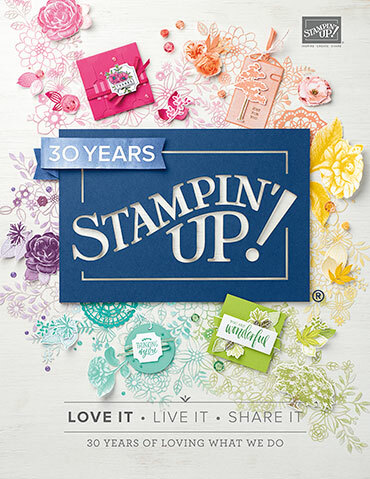 Two Stamp sets in March's Paper Pumpkin kit! Happy 6th Birthday to Paper Pumpkin! ***I love getting these fun kits in the mail; they're always a fabulous surprise! Subscribe and pay $20 each month here. 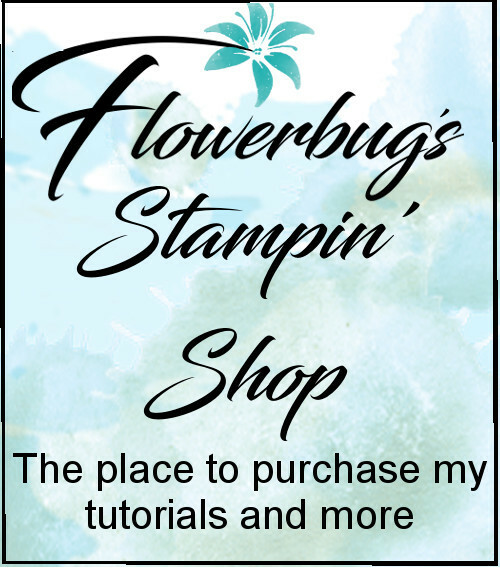 Get exclusive bonus project tutorials from me each month featuring products and stamp images in each kit! As a subscriber you can choose to purchase extra kits! They release them later in the month. You're ready to craft. The planning and prep work is done for you. It comes right to your door each month! Unsubscribe or skip a month; you have complete control! Sneak Peak February Paper Pumpkin kit!! 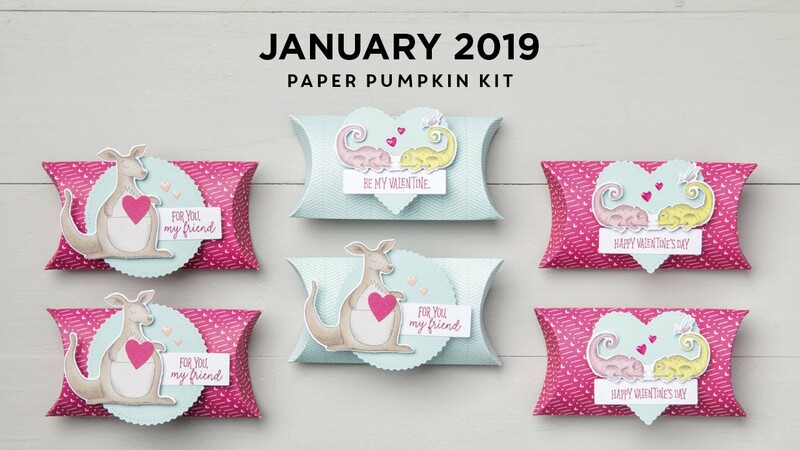 Get an inside look at February's Paper Pumpkin kit. Succulents!! Be sure to sign up by Sunday, February 10th to get yours. You have options with Paper Pumpkin! Purchase a 3, 6 or 12 month's subscription and get free Sale-a-Bration items when you do! Click here to get yours. Remember that all of my subscribers get bonus, alternative project tutorials emailed to them. Each month I suggest you save part of your kit so you can choose to make some of these bonus projects. For example, January's kit was Valentine themed but it was super easy to create kids cards and even baby cards with it! Paper Pumpkin Flash Sale; just $5 for a whole kit! New Subscribers can get the October Paper Pumpkin kit for just $5!!! The October kit has a fall theme and includes the following color combination; gorgeous!! Cajun Craze, Coastal Cabana, Fresh Fig, Grapefruit Grove, and Night of Navy. The flash promotion price for new subscribers is $5(USD)/$7(CAD). Everyone who subscribes through me receives exclusive Bonus Project ideas from me; sent in an email to you each month! 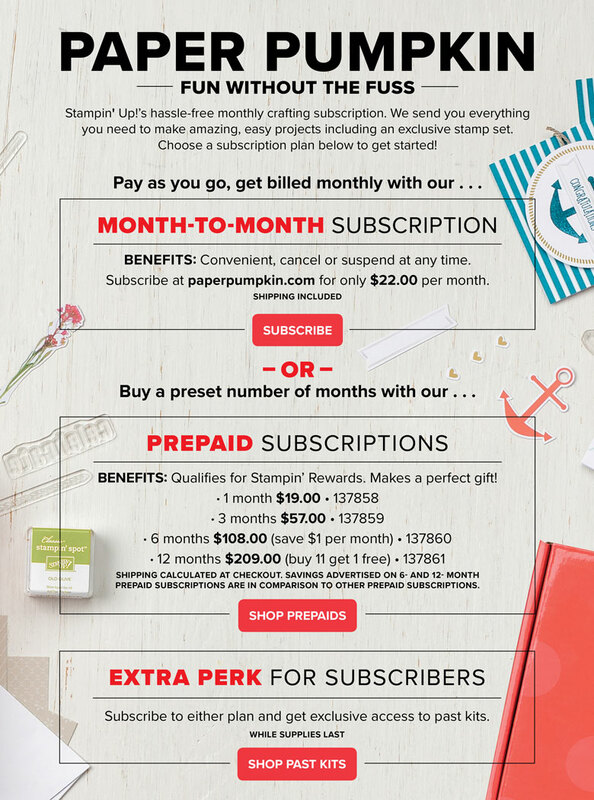 Your subscription will continue each month until you decide to cancel it. You can choose to cancel or hold a month at a time. Layered Leaves Paper Pumpkin kit; extra projects! Here are a few extra projects from the amazing September Paper Pumpkin kit! I'm so excited about the kits lately that I'm starting something new for my current Paper Pumpkin subscribers. 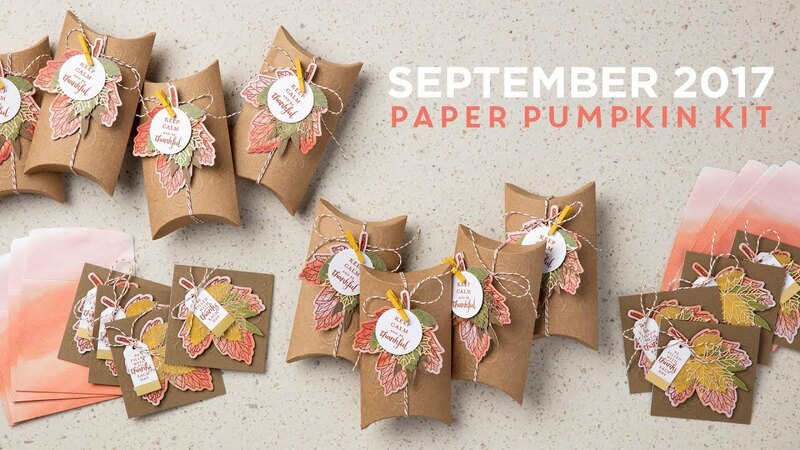 Each month they'll get a pdf of around 6 extra bonus projects using our Paper Pumpkin kits! It's the same pillow box that's in the kit but instead of folding the top closed I used an oval die-cut to cut out a window. Inside are two Ghirardelli chocolate candies. That beautiful large leaf is one of the die-cuts included in the kit. I crumpled it up a few times to distress it. I then used a stylus to draw veins in the leaf before sponging it with Cajun Craze, Pumpkin Pie, Always Artichoke and Crushed Curry ink. Look at that pretty orange shiny trim! It's part of the Baker's Twine included in the kit. I just separated it from the white part. Cool way to change it up! Here's a pretty fall banner you can make with just a few extra pieces of twine, burlap ribbon and cording and die-cut letters. They always include lots of extras in the kit! Here's a close up of one of the letters & leaves. If you'd like to subscribe to Paper Pumpkin click here and you'll receive a fabulous kit in the mail each month. It's so fun to get a 'ready made' kit! You can also choose to purchase a one month, 3, 6 or 12 month subscription for additional savings. October and November's kits are a matched set! They're both Christmas and they coordinate! It may be too late to get in on October's kit but you'll get November's for sure! Subscribe before November 10th! You’ll love the kits! That’s our promise to you! If you’re not satisfied, give us a call and we’ll take care of you.